Getting a good night’s rest is just as important as having a healthy diet and exercising regularly. Research has shown that a lack of sleep has immediate effects on your brain function, exercise performance and hormones. Poor sleep can also cause weight gain and even, increase disease risks for both children and adults. On the contrary, healthy sleep not only enhances your ability to function better, but it ultimately makes you a healthier person. Unhealthy lifestyle choices and daytime habits can leave you tossing and turning at night, thus affecting your mood the next morning. By simply experimenting and following tips, it’ll help you find which ones work the best for you. Stick to a sleep schedule-having a routine sleep schedule that consists of the same wake-up and bedtime each day will help regulate your body better. This will also help you stay asleep for the night. Control the amount of light exposure-sometimes we can’t sleep effectively at night because of the amount of light that our body is exposed to. Our brain secretes more melatonin (a natural hormone that’s controlled by light) when it’s dark. Once this happens, it tends to make us sleepy. Exercise throughout the day-people who exercise during the day seem to sleep better at night. Exercising regularly boosts your energy and improves the symptoms of insomnia. Be wise about what you eat and drink-try to avoid caffeine, big meals and sugary foods before you go to bed. Your daytime eating/drinking habits play a role in how well you sleep during the night. 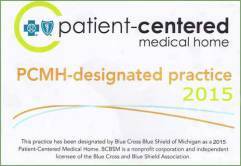 Looking for Primary Doctor Care? Sleeping well affects your mental and physical health. Anything out of the norm can take a serious toll on your emotional balance, productivity and daytime energy. Making simple, but important changes to your daily routine can create a major impact on how you sleep. If you are looking for primary doctor care and consultation, Westland Clinic can help. Contact us today at 734.728.2130. Do you find yourself tossing and turning at night, watching the time on your alarm clock get later and later? Or do you realize that even if you get to bed at a reasonable hour you still manage to wake up tired? If your answer to these questions is “yes” then you may be one of the 20% of Americans that suffer from sleeping disorders such as Insomnia. Stop daytime napping – Sometimes you just need a nap – but if you do crash out during the day for an hour or two, it will not only be harder to fall asleep when you want to, but you’ll find it difficult to maintain your sleep overnight. Do away with late-night carbohydrates – Two hours before you plan on calling it a night, resist the urge to snack on foods loaded with carbs or sugars. Instead opt for sleep-inducing foods like turkey or nuts. Avoid Nighttime fluids – Drinking anything a couple hours before bed – water, juice, soda (the caffeine is a double no-no) will have you running to the bathroom 2-3 times overnight, which obviously interrupts a consistent night’s sleep. Adopt a habitual sleeping schedule – It’s not easy, but try to make a habit of laying down to bed and getting on up at the same times every day. If you’re not a morning person you’re body and head may resist at first, but sticking to a consistent routine will help your body develop a pattern. Keep Your Head Cool – Researchers from the University of Pittsburgh School of Medicine recently reported that by giving insomnia patients a cap that contained circulating, cool water to sleep in, they fell asleep as quickly as patients without insomnia. People with insomnia tend to have a more active frontal lobe, which explains why letting the brain cool off can help you fall asleep faster. If you don’t have access to such a cap, trying icing down your pillow or sleeping in a slightly cooler temperature. If your bout with Insomnia is becoming increasingly serious and none of these tips do the trick for you, call us at 734-793-0215.